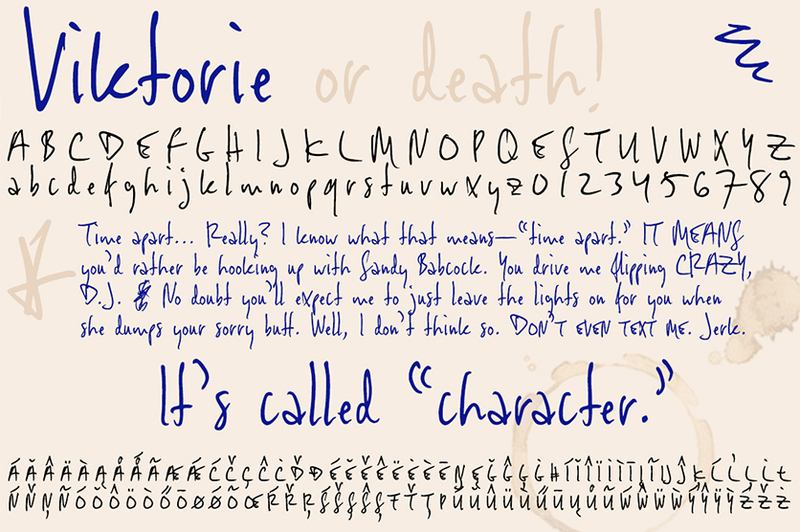 Viktorie might easily be mistaken for the handwriting of a note-taker in a hurry: it looks swiftly jotted down. These energetic characters pay little heed to such arbitrary constraints as baseline or x-heighttaken together, they give the effect of casual penmanship that’s both curiously legible and inspiringly unleashed. Has a single, medium-light weight and comes, of course, with a full character set; the OpenType release adds true small caps, numerous ligatures, and Central/Eastern European alphabetsnearly 650 glyphs in all. US$39.